About the Featured Image: The Parish Church of Our Lady of the Gate, Daraga, Albay. This church of stone was built by the Franciscans in 1773. Its design is baroque after the skills of the labourers during the Spanish Period. When Mayon Volcano erupted in 1814 and destroyed the Cagsawa church, it became the refuge of the people fleeing from the volcano’s fury. In 1854, it was dedicated to Nuestra Señora de la Porteria or our Lady of the Gate. During World War II, the church became the headquarters of the Japanese. 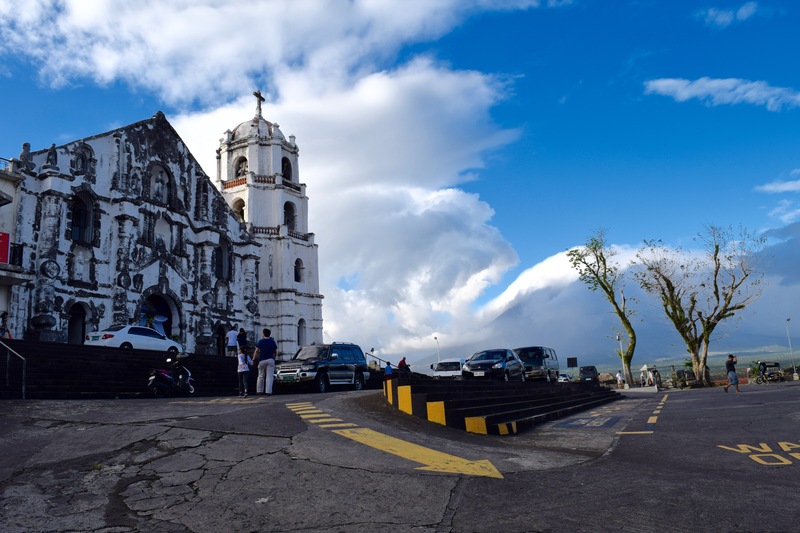 What made this church famous was its location: on a hill with a panoramic view of Legazpi City and a picturesque Mayon Volcano on clear days. 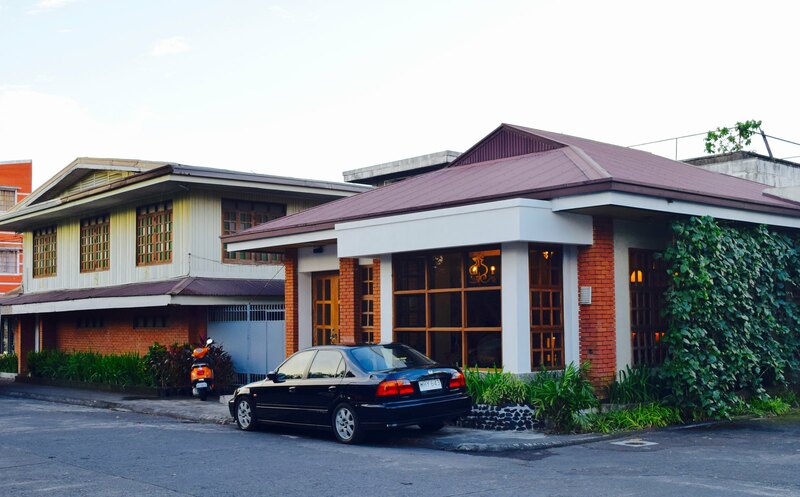 I heard about 528 Ilawod Café from TJ Boone, a San Jose Seminarian from the Diocese of Legazpi. He said that the coffee was excellent and it had just opened. I got excited for two reasons: I would be able to visit Daraga Church and then to walk my way to this new discovery. With Jesse, my youngest brother, to look for a new nook for reading and for spending time with my family, even made the adventure more meaningful. The café did not disappoint. The address of the cafe was exactly the café’s name: 528 Ilawod. The street was historical. A known Daraga hero, General Pawa lived in that street. 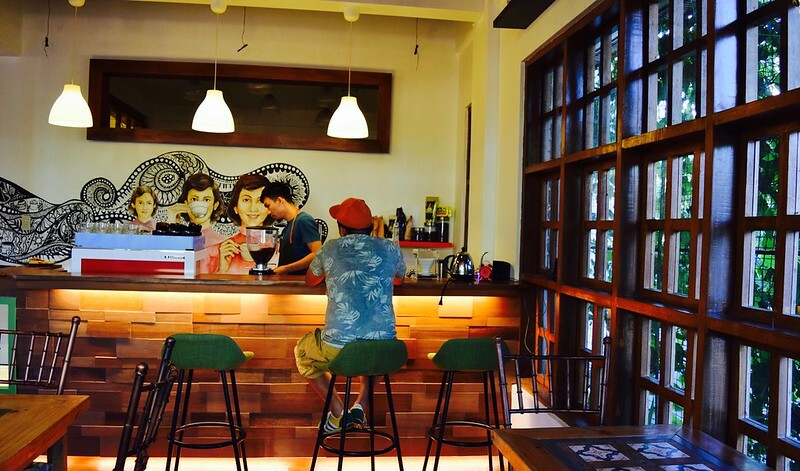 Gian Paolo Cheang, owner of the café, said that General Pawa was a full-blooded Chinese who migrated here from Mainland China during the Spanish Period. Thus, the coffee shop celebrated the Chinese legacy, represented by three women of Chinese descent drinking coffee drawn on the counter’s wall. 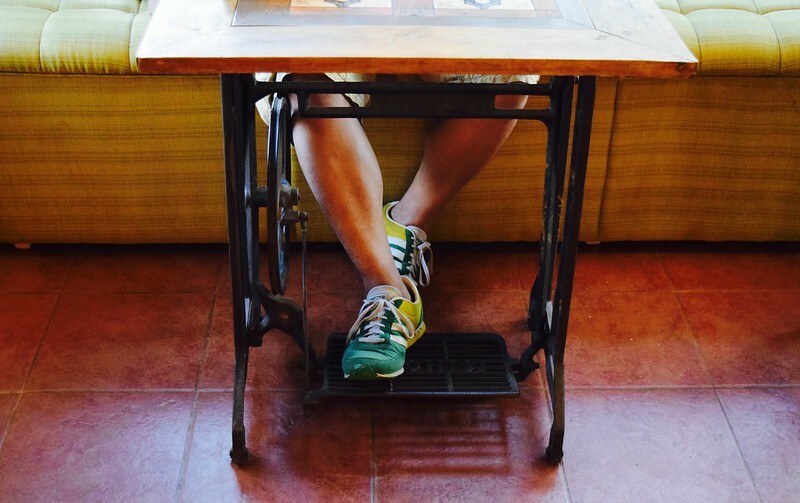 Gian said that the tables were made from many old sewing machines (Bikol: Makinang pangtahe or simply, makina, from the Spanish, máquina de coser) used in making abaca handicrafts. The families on this street were abaca exporters, from the Villanueva (his wife’s family), Vallejos, Llaguno and Miranda clans. Some old houses still abound to this day. Since I found the café charming and Gian interesting to converse with, I thought of doing a simple interview. Tell us the story why you thought of putting up a café? “It was by accident. We purchased a coffee machine to augment Balay Cena Una’s services (Balay Cena Una is a restaurant in Daraga, Albay). After the technicians taught us to operate the machine, we believed that that was all we needed to know. I had never been a coffee drinker, but the taste of the coffee from the machine was terrible. It was sour and bitter. We could not get it right. Note: Single-origin coffee is coffee grown within a single known geographic origin. Sometimes, this is just a single farm, or a specific collection of beans from a single country. The name of the coffee is taken from the place it was grown. 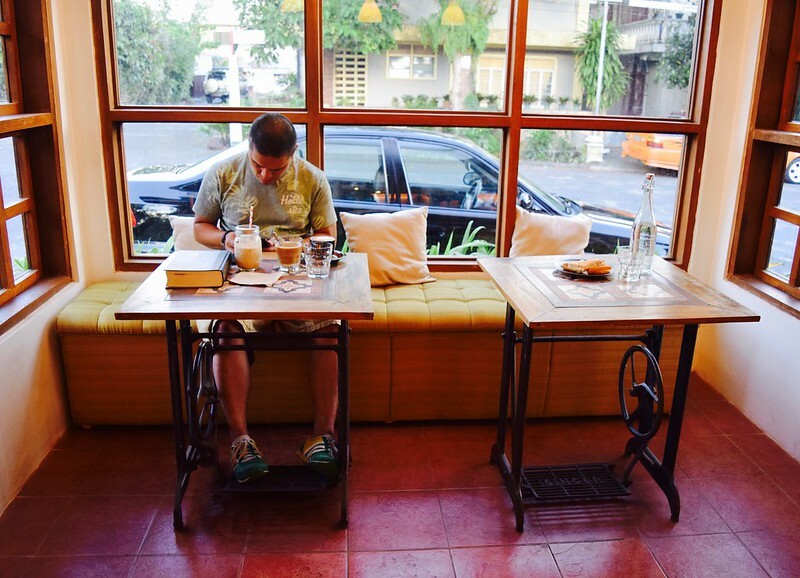 Why do you want your café to specialize in single-origin coffee? Many cafés offer blended coffee. 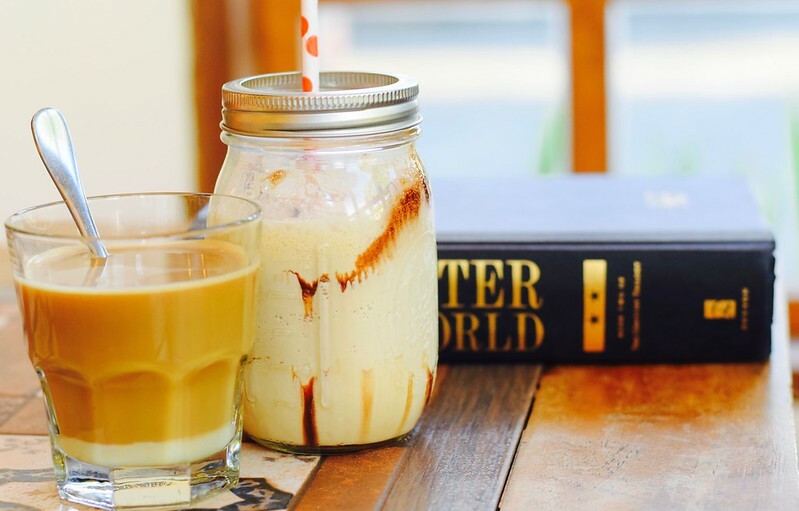 Blended coffee is a mixture of different varieties of coffee to get a desired taste, for different purposes. 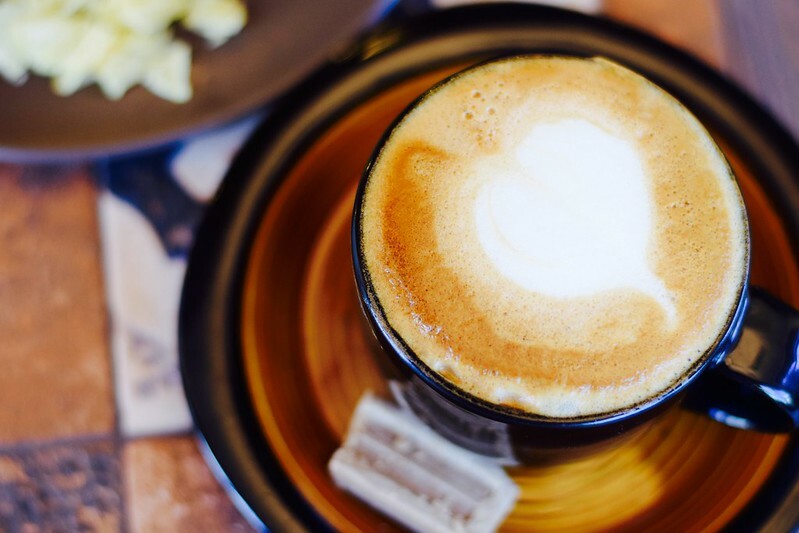 For some clients, they expect consistency: the same taste of an item they ordered in a coffee shop. However, every bag is different in a single origin coffee, and thus, the taste per bag is also unique. This presents a challenge. What do you mean by social responsibility as part of your motivation in putting up a coffee shop? “If the people will not be able to appreciate the different tastes or profiles of different varieties of coffee, they will not be able to appreciate what our farmers are and will be doing. Therefore, we will not be able to increase the premium of the coffee that the farmers are producing. In many businesses, large companies dictate the price of the commodity as in the case of multinationals in Mindanao. But when the “cup of excellence” is accredited to a coffee grower, it is the coffee grower who dictates the price of the coffee. The coffee beans are auctioned to the companies. Kaya ang benepisyo nito sa mga magsasaka ay napakalaki. (It will greatly benefit the farmers in the long run.) It is not the roasters who will get more credit, but the growers. 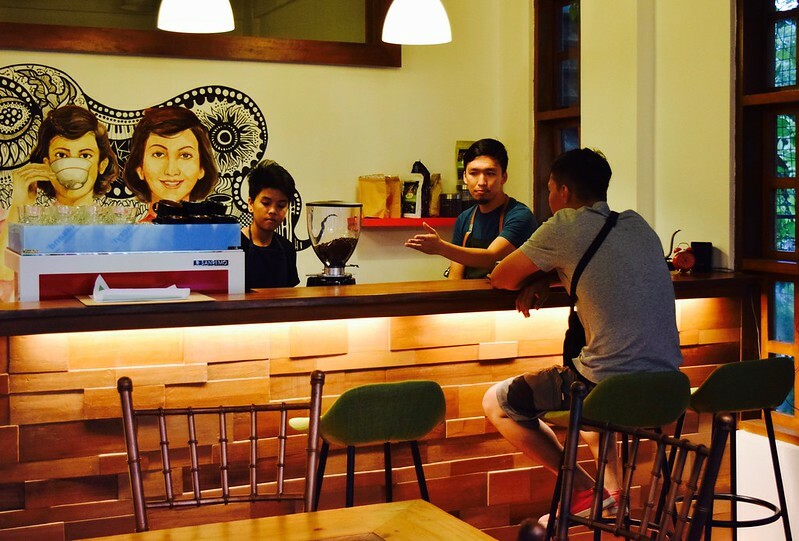 Note: They targeted the end of January 2016 as the official opening of Café 528 Ilawod. Are there coffee growers in Bikol? “We were sent coffee samples from Sorsogon, and we would like to take a look at it. The beans we received from them were over-roasted. A “good shot” is when the beans are processed around 20-30 secs. Theoretically, this is the time when you are able to get the desired taste. When you over roast the coffee beans, they become sour and bitter with an after-taste. 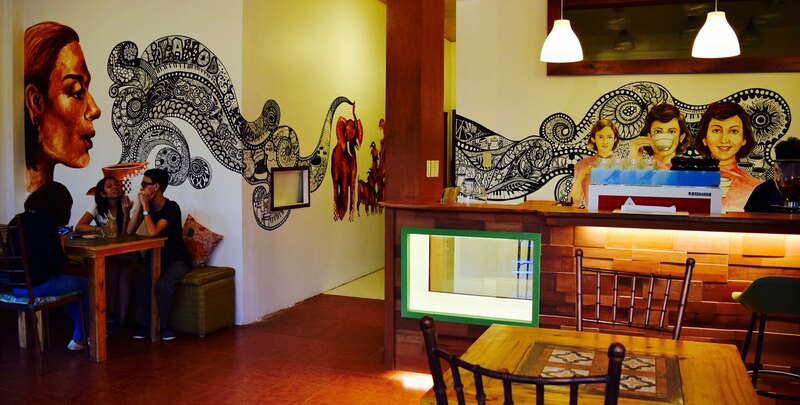 You have a beautiful artwork done by a local artist in your café. How do you want us to understand it? “The starting point of the artwork tells us about the history of coffee. You see this goat herder? She observes that the goats she tends becomes “hyper” when they eat the coffee berries. That’s why these are “dancing goats.” She then shares this observation to the community until the news reached the monks. When the monks learn about it, they declare the beans to be evil, because those who take it seem ‘possessed’. So the monks throw all the coffee beans into the fire. Soon, the aroma rises from the roasting and it is desirable. That started it all. The elephant is a representation of Ethiopia where coffee originated. From the elephant you can see the process of coffee making as well as the different types of processes. From the picking, sorting, cleaning, you also have the dry and wet processes involved in coffee making. What do you want your customers to remember your café by? “First, I want them to learn something about coffee. That they will begin and continue to appreciate coffee. Note: 528 Ilawod Cafe’s FB and IG account name is the same: 528 Ilawod. Like and follow them! 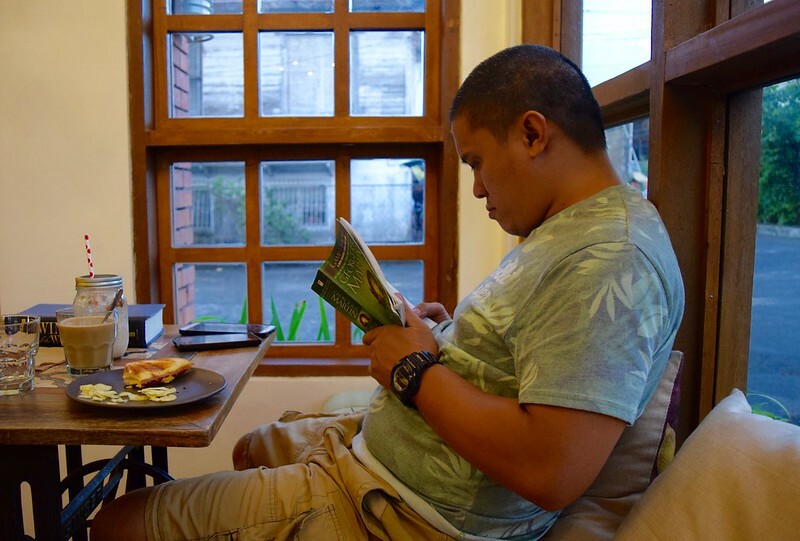 Next Discover Camalig: a 16th c. town, a lake, and food as fiery as its volcano. which one is correct, 158, 128 or 528 ? HI Al! I corrected it all: 528 Ilawod. Sorry, was posting in the wee hours of the morning. Thank you very much Al for the notice. Do take care. Hi Fr! Awesome review. Just noticed few errors in name, I think it is “Cheang” not “Cheng” and “Cena Una” not “Sinauna.” thank you! Again, honestly, such a great review of the cafe. I will correct them now. Thanks. Siyempre got it lang from the interview and the way pronounce it. Never been in “Cena Una” (Balay SINUANA magpronounce mga tao.) haha! Regional accent. hihihi! Thanks CMA. Will correct it now. Cheang. Sorry. Where is this? Is it also at the top where the church is? Hi Bok! Thanks for the question. The Cafe is not on the hill where the church is. It is down the hill. The landmark is Bigg’s Diner. Take the road across it, which is F. Lotivio St. 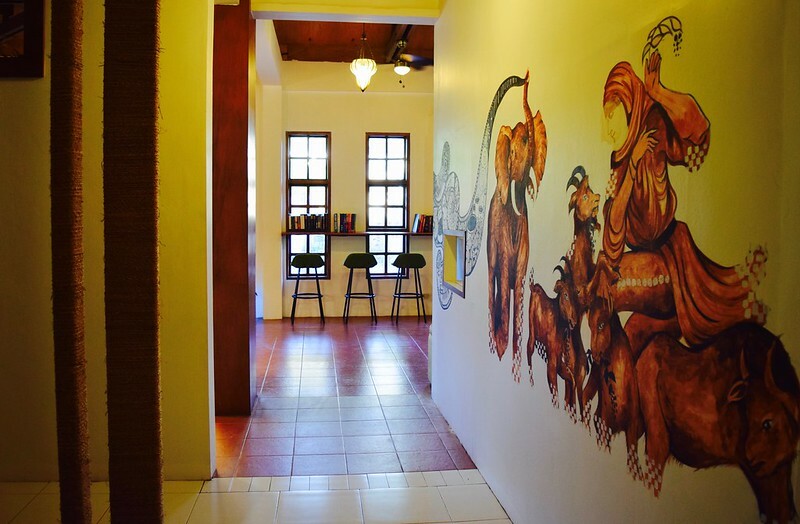 It is a few meters away from Rizal St (main road), and to your right. Better if you take the tricycle to Balay Cena Una (which is famous). The cafe a few houses away. You won’t get lost, I assure you. Leave a note if you find it. Happy hunting! Looks like an interesting cafe! Will try to go there next vacation! Indeed it is. They are just beginning. But we want these local cafés to grow, so that they have a fighting chance over large malls. They carry our culture and the Filipino brand of creativity. So, please go, write about them, and let’s support our local industries! 😀 Thanks.